It's been a year and a half when we decided to get our first fully-automatic washing machine. From several brands, we choose Samsung. Since then, gone are the tedious days of doing the laundry. No more backpains from scrubbing! My life was so easy, multi-tasking as the spinner performs its job. I have enough "me time", viber calls to my relatives in the province. We got the WA80V4 around eleven thousand at SM Appliances. There are several reasons why we choose Samsung over other brands. One is the Digital Inverter technology which saves on energy as well. It has wash, rinse and spin function and features Double Storm Pulsator, Diamond Drum, Magic Filter and Air turbo Dyring Option. I love that I can control the water level from low, medium to high. Buttons you just need to slight press according to your needs - fuzzy, quick, wool, soak and clean tub. 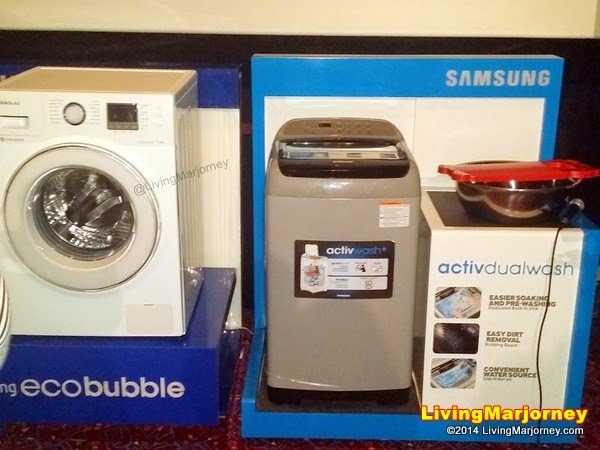 This year, Samsung launched another line of Fully-Automatic Washing Machines and I'm sure you'll be eyeing one of them as a Christmas gift from the hubby! :) because of its elegant look and high performance, not to mention its practical innovation. 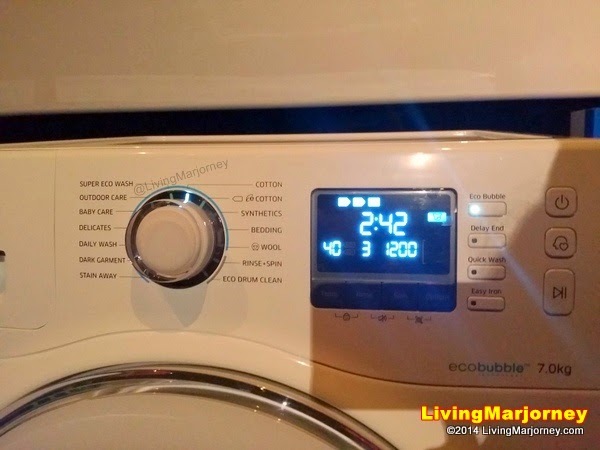 Samsung EcoBubble Technology allows for the even distribution of detergent and deeply penetrates the fabric faster than highly concentrated liquid detergent. It completely dissolving the detergent and allows easier rinsing and minimizes detergent residue and stains. EcoBubble promises no loss of wash performance and allows laundry to be done faster and more efficiently, giving you extra time to do other things or spend time for herself. Stain Away, on the other hand, is a pre-programmed cycle with settings that help remove common household stains that moms usually have a difficult time cleaning, such as cocoa, blood, tea, wine, coffee, make-up and grass. This is best for families with little ones. Wobble technology protects delicate fabrics from friction damage without compromising washing performance. The Wobble pulastor’s unique structure generates a dynamic, multi-directional washing flow to prevent tangles, twists and knots while thoroughly cleaning clothes. The WA16F759’s Digital Inverter technology ensures durability and saves on energy as well. It’s large capacity 16kg. also allows moms to save laundry time. 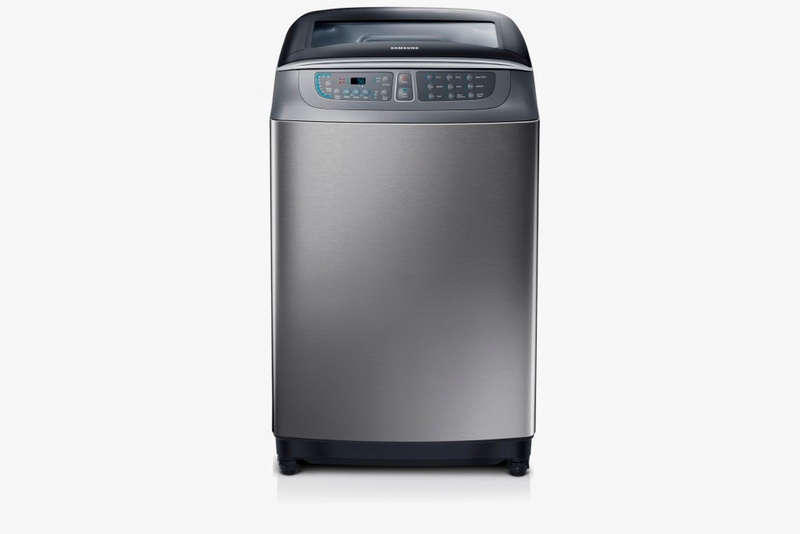 Do you prefer to pre-wash heavily soiled clothes, the Samsung Fully Automatic Top Load WA4000HH is a smart choice. This all-in-one washing machine features practical innovations such as the ActivDualWash, on top of Wobble Technology, that allows laundry to be done with less time, efforts and worry. The Digital Inverter Motor has minimal moving parts, making it breakdown resistant. Magnet utilization makes it more efficient, increasing energy saving and guaranteeing durability. An 11-year warranty also ensures long-lasting washing machines with fewer chances of malfunctions. Samsung’s Twin Tub offers a more convenient solution for super busy moms. 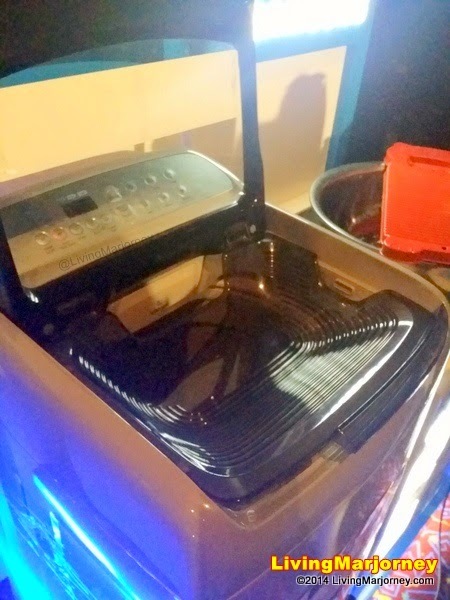 It allows users to hand wash and pre wash clothes in one machine. It comes with a dedicated wash tray on the machine itself. Its body is made of non-corrosive, rust proof plastic, keeping it in tip-top condition despite being exposed to the elements outside of the home, where most machines in the Philippines are kept. 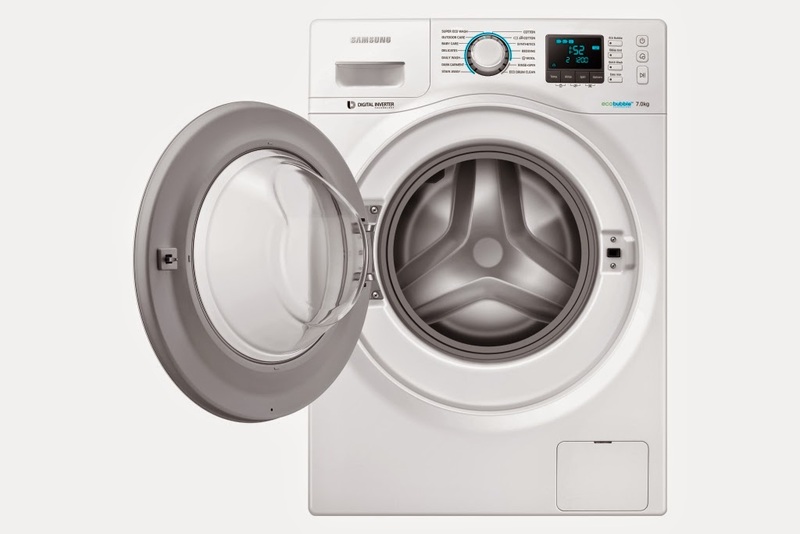 An Air-Turbo Spin-Drying system also helps reduce drying time by rotating the drum at high-speed, drawing in more air so clothes dry faster, even in humid climates. Aside from washing machine, I'm also using a white Samsung Microwave Oven. Included in my Christmas wish list is a Curved UHDTV. These home appliances make my life easier. I can still remember, the husband and I were brain storming then, he wanted to try a semi, automatic washing machine but I really like Samsung's fully-automatic one. I'm so glad he gave me the one I really like. I am planning to get the Double Storm WA80V4, too. How is it's performance? Maganda po ba ang pagkakalaba? Thank you! Hi Meg, I've been using it for 5 years now and I'm happy with it. Maganda naman wag mo lang overload. I also like the options for wool, quick wash etc. I'm not sure though if it's still available in the market, perhaps Samsung have new models of washing machine na.